Nirav Modi and his uncle Mehul Choksi are under probe by both the Central Bureau of Investigation (CBI) and the ED in the Rs 14,000 crore Punjab National Bank fraud case. 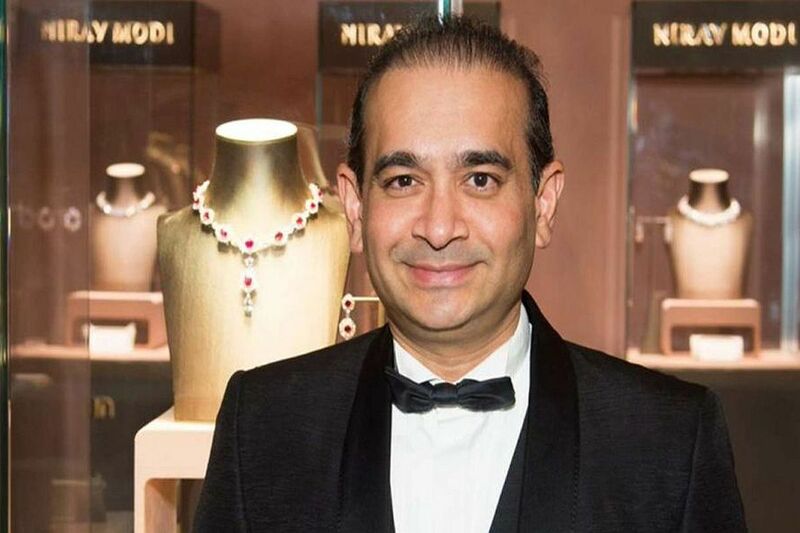 Fugitive diamantaire Nirav Modi, who is wanted by Indian agencies in the Rs 14,000 crore Punjab National Bank fraud case, has been spotted in London, a media report said. A video released by the UK’s The Telegraph newspaper showed Nirav Modi walking the London streets. He wore a changed look — with a handlebar moustache and long hair. The Indian intelligence agencies have already provided inputs about this new disguise. In the video, Nirav Modi is seen avoiding every question posed at him, saying “no comment”. The Telegraph report further stated that Nirav Modi against whom a Red Corner Notice has been issued by the Interpol has been living in the city’s West End area and has even started a new diamond business. Back in India, authorities in Raigad on Friday carried out a controlled blast to raze the luxurious beach bungalow of Modi. Though the Alibag bungalow was not directly linked with the PNB scam, it was attached by the ED along with his known assets in Maharashtra, Gujarat and other places in an effort to recover a part of the dues from Modi. An extradition request against Modi is pending since last September before the UK authorities. On February 26, the Enforcement Directorate attached properties of Nirav Modi and his associate companies to the tune of Rs 147 crore in connection with its ongoing probe into the case. Nirav Modi and his uncle Mehul Choksi are under probe by both the Central Bureau of Investigation (CBI) and the ED. The ED filed money laundering cases against them and others on February 15 on the basis of an FIR registered by the CBI. The ED has till date attached properties worth Rs 4,765 crore of Choksi and Nirav Modi. The scam, which reportedly began in 2011, was detected in January, after which PNB officials reported it to the probe agencies. Non-bailable warrants were issued against Nirav Modi and Choksi. Also, an Interpol ‘red corner’ arrest warrant was issued against Nirav Modi on the ED’s request, who along with his family as well as uncle Choksi left the country in January, a month before the fraud came to light.